This adapter cable makes it possible to use a Gamecube controller on a N64 console. 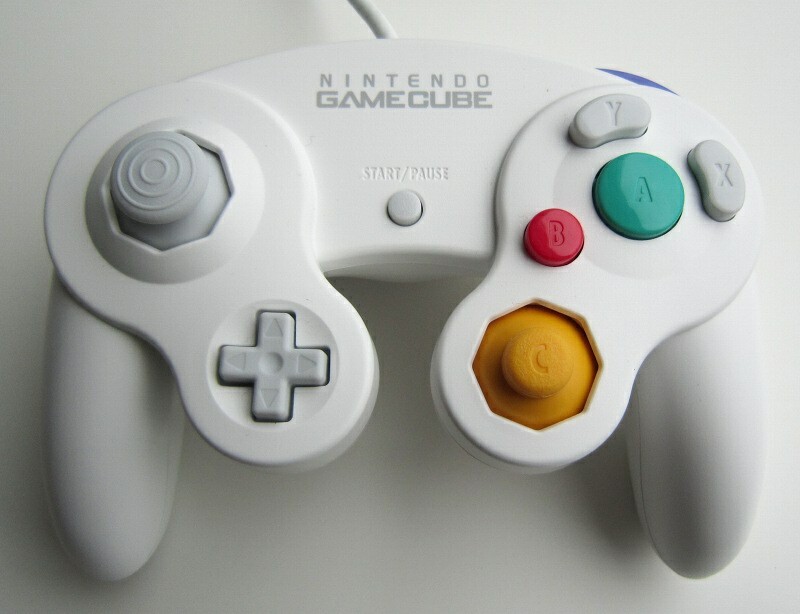 It has been designed as a solution to the worn down N64 joysticks. Reprogrammable mappings solves usability issues due to the N64 and Gamecube controller differences. Supports the Nintendo Wavebird and Intec wireless controllers. High game compatibility, thanks to highly customizable mappings. Up to 4 mappings can be saved for quick recall. On-board LED for mapping menu feedback. 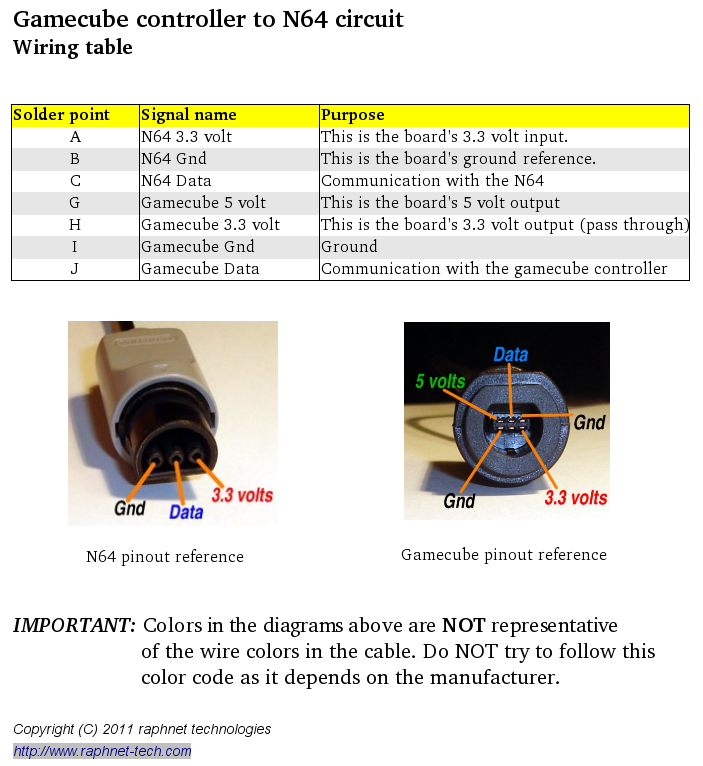 Gamecube to N64 controller adapter circuit, assembled and programmed. 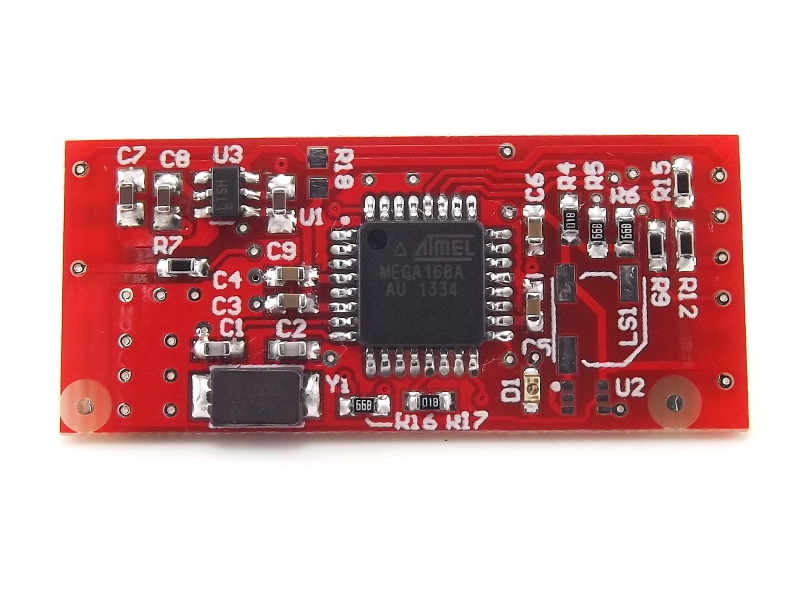 Circuit color and minor internal details may vary.